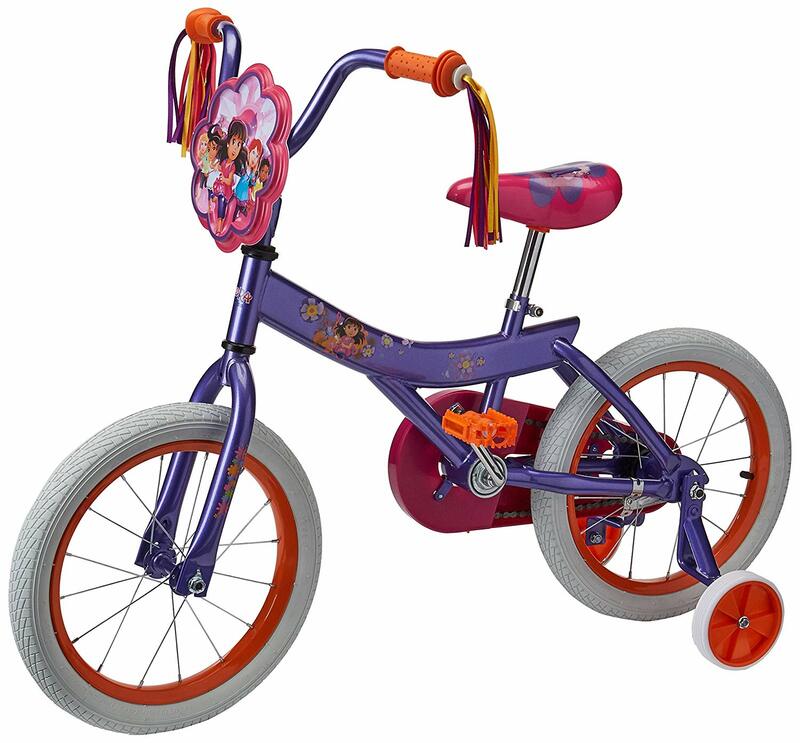 Amazon has the Dora and Friends 16" Bicycle on sale for only $39 (regularly $60.37). Perfect for your little girl to cruise around the yard or patio. The easy stand over frame provides a comfortable fit for younger riders. Foot brake for sure stopping power and heavy duty training wheels provide the stability needed. The quick release printed seat allows for quick seat height adjustments as your little one grows. Takes around 15 minutes to put together. The handle bar locking mechanism needs improvement. Need an adjustable wrench for assembly.